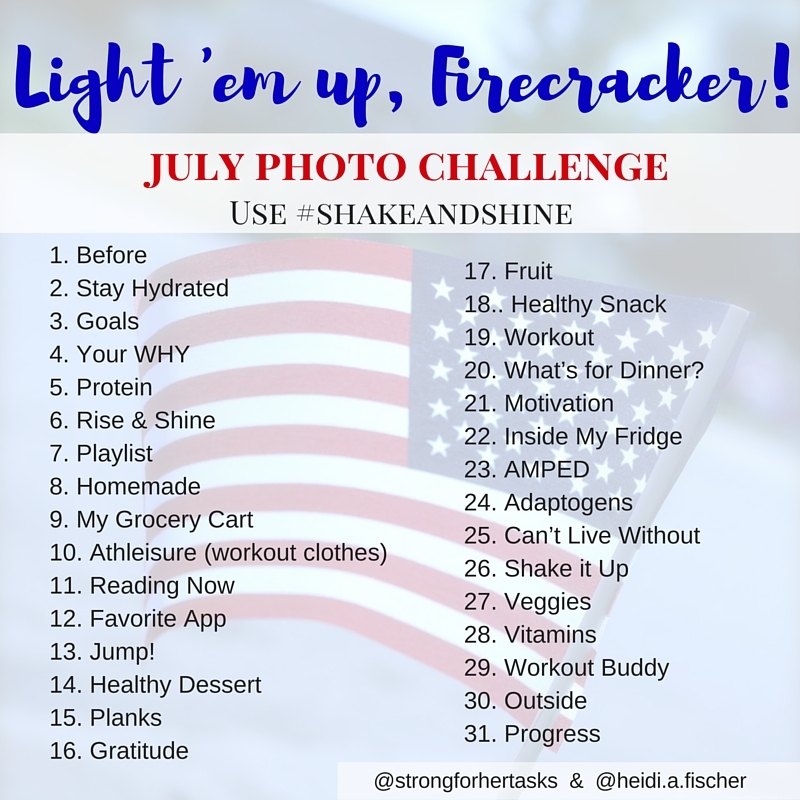 I'm really excited to share the July Fitness Photo Challenge: Light 'Em Up, Firecracker! 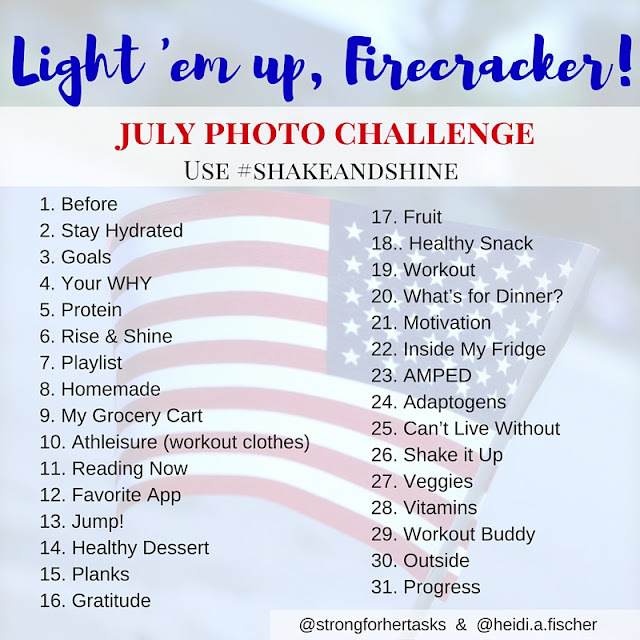 My friend Heidi and I thought it would be fun to share our progress as we work toward our health goals through a series of photo prompts. Each day, post your picture to Instagram (or Facebook!) and use the hashtag #shakeandshine. There are no rules! Just be creative and have fun! I'll be posting my pictures here each Friday this month. Can't wait to see what everyone else comes up with! I love Christy Wright's take on self care. If you're working on a second language with your child, try these apps. For anyone thinking about starting a blog! Working on making my local bucket list after reading this. In other news, I posted this on my Facebook Page, but I would like to share it here, too! Life Goals: Get paid for eating healthy, looking good, and hanging out with friends. It seems far fetched, but it's starting to become a reality for me. When I had my daughter 3 years ago, I decided to stay home with her, but struggled to help make ends meet for our family. 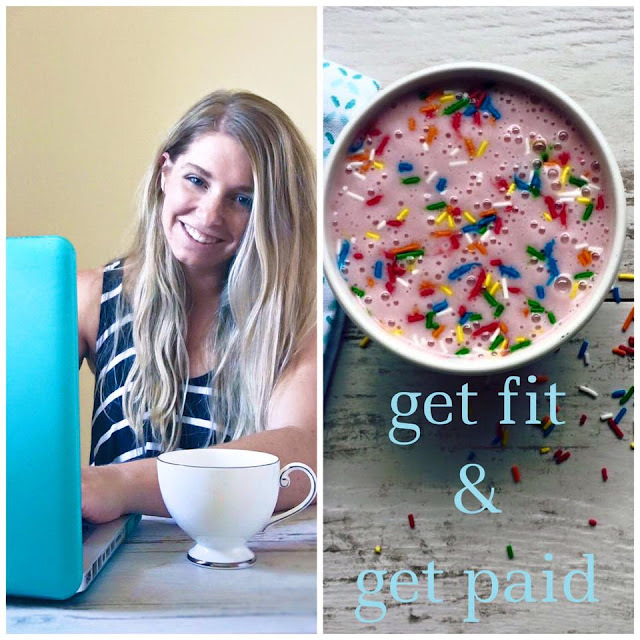 When I decided I was sick of cobbling together part time jobs on nights and weekends, I dove head-first into an opportunity to partner with a health and wellness company and earn and income from home. I am a trained and certified Spanish teacher, so I used the teaching skills I acquired and applied them to my business - teaching others how to take something that feels difficult (getting healthy) and simplifying it. I researched social media best practices, paid for courses, and through trial and error learned how to grow my business from home, while fulfilling a need for a creative outlet and a need for a tribe & community. Let's change some lives together - starting with yours! Have a wonderful Fourth of July weekend!